For the last two pages, I will finish off with some miscellaneous shots. 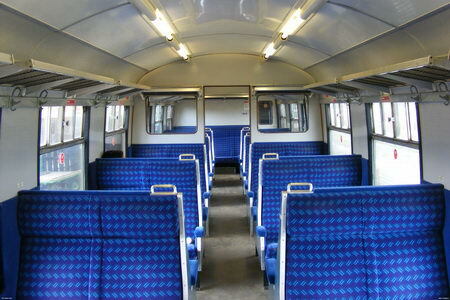 An interior shot of an empty 1498. (left) A sight that can no longer been seen in the Southern Region; a slam door in public service! 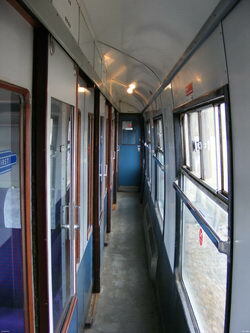 (right) An even rarer sight; first class compartments! 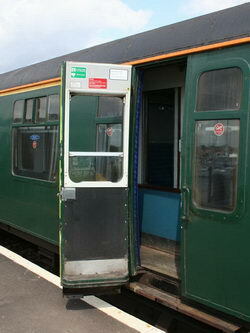 Who would have thought these compartments lasted longer than the first class compartments found on class 442 units. A door from 1497. The doorplate was added after the 2005 introduction of the units. 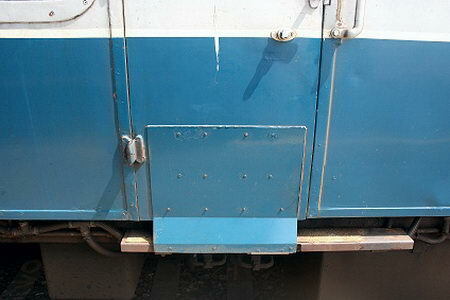 Underneath is an electro-magnet used to provide central door locking (CDL). The units required CDL to comply with the Railway Safety Regulations Act 1999 which prohibits the use of trains without CDL from January 2005, although this was relaxed for a short while whilst the CDL was installed.